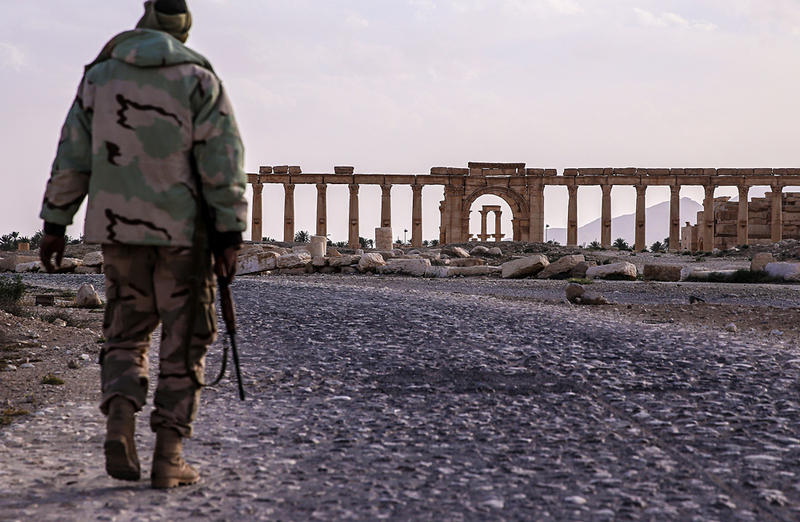 A Syrian government army soldier near the Great Colonnade in Palmyra, a UNESCO world heritage site. Several hundred million dollars will be needed to rebuild the Syrian city of Palmyra, says Mikhail Piotrovsky, head of the State Hermitage Museum. "The UNESCO [United Nations Educational, Scientific and Cultural Organization] member states must participate in this [the restoration of Palmyra]. A great deal will be needed. I think hundreds of millions of dollars," Piotrovsky told Interfax on March 30. First of all, it is necessary to rebuild what was destroyed, he said. "It is necessary to lift up those stones that fell and look at what comes out of it," he said. A day earlier, Russia's representative to the UNESCO, Eleonora Mitrofanova said that an emergency fund for Syria was set up for the restoration of Palmyra, to which 2.7 million euro has already been contributed. A substantial number of statues, temples and other structures were destroyed by militants of the Islamic State after they took Palmyra under control in 2015. On March 27, 2016 Palmyra was liberated by the Syrian government army.